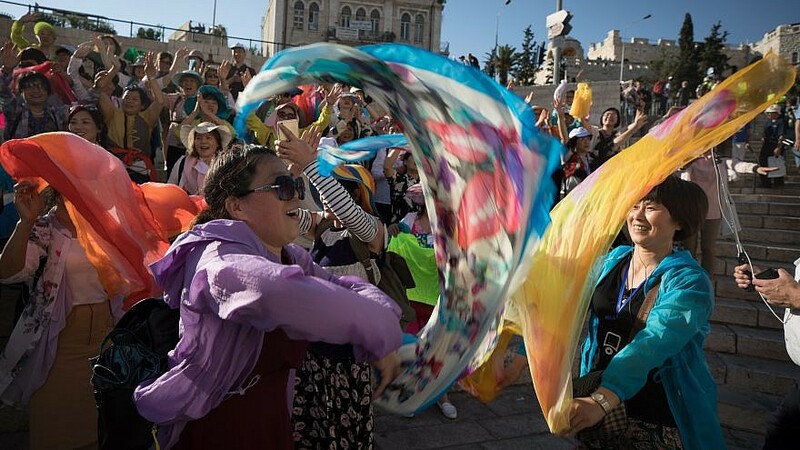 Asian tourists sing and celebrate outside the Damascus Gate in the Old City of Jerusalem on “Jerusalem Day” on May 24, 2017. Credit: Nati Shohat/Flash90. (March 29, 2019 / JNS) Tourism to Israel is on the rise, and if last year’s numbers—4,120,800 million, to be exact—are any indication, this year may prove to be even more successful. While for years, many tourists to Israel arrived from Western countries, the numbers are changing. Now, more tourists from countries in the east, especially China, have discovered Israel, and if this trend continues, Israel’s incoming tourism industry could witness greatly accelerated growth. With a population of nearly 1.4 billion, China is a gold mine in terms of tourism potential, and Israel has already hopped on the bandwagon. A conference held this week at the Dan Jerusalem Hotel, titled “Made for China,” focused on developing ties between the two countries and finding ways to encourage Chinese tourism to Israel.